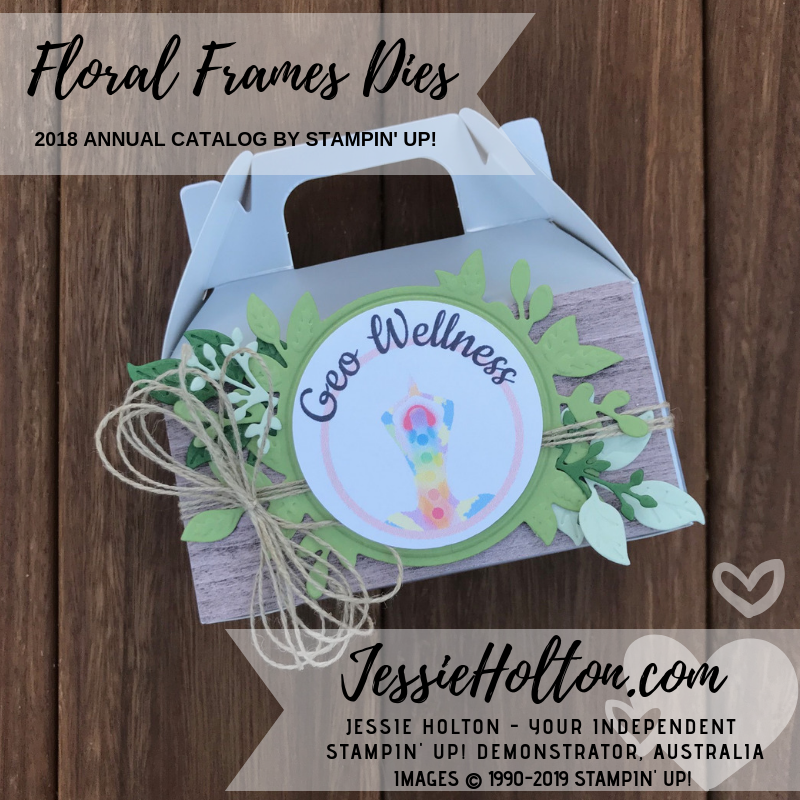 I've used the Wood Textures Designer Series Paper in the background with the main die from the Floral Frames Framelits in Pear Pizazz, then I've used the Wonderful Floral Framelits in Garden Green & Soft Sea Foam. I've wrapped with some Linen Thread & tied a big billy bow, then printed out Georgia's logo on Whisper White cardstock & cut with the 2" Circle Punch. The trick to get all the detail in the leaves with the Floral Frames Framelits is to cut them normally on the big shot & then run them through again on the embossing plates. You can use the embossing plates to emboss any die, instead of cutting with it, to double the use of all your dies. How cool is that?